Can't Win If You Don't Play: Lauren Merkin Handbag Contest | Fashion. Style. Beauty. | Life is short. Live well. How how was your New Year’s Eve? If you think your NYE look was hotter than most, then you might want to enter this little contest I just learned about. Handbag genius Lauren Merkin has a Facebook page and is using it to select three (3) lucky winners to win the clutch of their choice in her brand new “Once Upon a Clutch” contest. 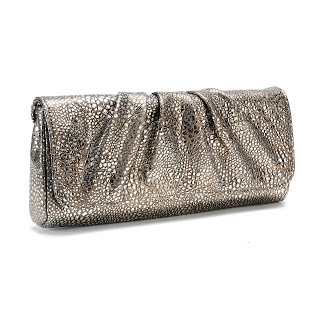 All entrants must upload a picture of their New Year’s Eve outfit, describe it in detail down to your fab shoes and bag and then specify which style and color of Lauren Merkin clutch would have just sent that look into the fashion record books. So head to Lauren Merkin’s Facebook page now and enter to win! Good luck and may the Fashion Force be with you.